JohnnyD had the most liked content! Are you referring to Rise of the Resistance? That is the reason why I am planning my trip for the time between September and November. That attraction is the most advanced and ambitious that has ever been made, and it will be opening later this year, not on the opening of Galaxy’s Edge at the end of August. I want to experience EVERYTHING in one trip. This is phenomenal. I am so excited! Not to mention Theme from Star Wars: Galaxy’s Edge, as well as expanded releases to come. Nothing less from the greatest composer and conductor of our time. I can’t wait! 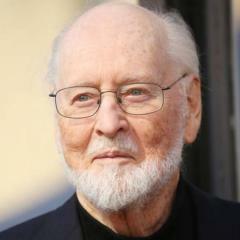 Both J.J. Abrams and Rian Johnson have had nothing but praise and kind words regarding working with the Maestro. Vice versa. https://www.youtube.com/watch?v=lxzUEl0loU8&list=LLM1s7NlGG7cz1UHPf9o53GA&index=61&t=0s&app=desktop https://www.youtube.com/watch?v=fIfWfengo3E&list=LLM1s7NlGG7cz1UHPf9o53GA&index=60&t=0s&app=desktop https://www.youtube.com/watch?v=5cPvY17ZdFM&list=LLM1s7NlGG7cz1UHPf9o53GA&index=57&t=0s&app=desktop https://www.youtube.com/watch?v=su3oJoKQxQs&list=PLgyxfzuf_Atz3UGha19g6efi9unEXDy44&index=4&app=desktop https://www.youtube.com/watch?v=qhKVsa4SbBg&list=LLM1s7NlGG7cz1UHPf9o53GA&index=27&t=0s&app=desktop https://www.youtube.com/watch?v=b32Q1nTgHM0&list=LLM1s7NlGG7cz1UHPf9o53GA&index=26&t=0s&app=desktop Can we please get back on the topic of the Maestro’s phenomenal Theme from Star Wars: Galaxy’s Edge? Thank you. Why, thank you. 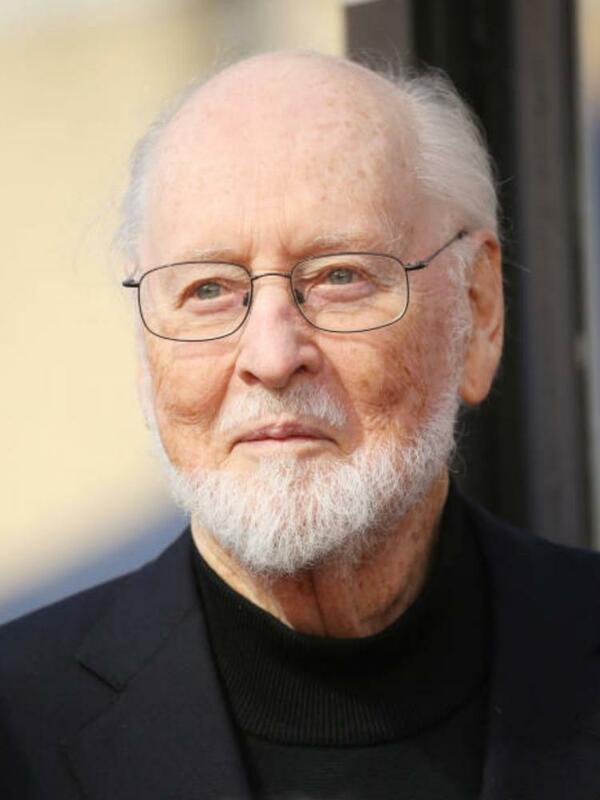 When it comes to Star Wars, and of course Maestro John Williams and his entire blessed work and career, I have nothing but true delight, excitement and praise. So much to look forward to. Regarding Star Wars: Galaxy's Edge, I've even thought of making a series of video logs that will catalogue my trip to Batuu, which I will post on YouTube, just like I posted the whole New World Symphony concert last month. There is no "special feed" that does not cut off, unfortunately. I have been a fan of Star Wars since I saw Episode IV: A New Hope on VHS when I was six or seven years old. Star Wars is my favorite franchise. The story, the characters, the Maestro’s music. I own the first eight chapters of the Skywalker Saga, the entire set of The Clone Wars (until season 7 premieres with the launch of Disney+, in which I will subscribe to catch that), Solo, Rebels and Rogue One. I also own many of the novels, including Queen's Shadow, Dark Disciple, Catalyst: A Rogue One Novel, the novelization of Solo, The Rise of the Empire, Thrawn, Thrawn: Alliances, Ahsoka, Leia: Princess of Alderaan, Lost Stars, Heir to the Jedi, The Aftermath trilogy, Last Shot, Bloodline, Phasma, The Legends of Luke Skywalker, the novelizations of Episode VII and VIII, and I look forward to the novels coming out. I am really looking forward to catching The Mandalorian on Disney+. Seeing the entire saga thus far, it will be really exciting to see the final chapter play out in Episode IX: The Rise of Skywalker. I am really looking forward to experiencing everything that Star Wars: Galaxy's Edge has to offer. From the small glimpses seen and the details I've read, Batuu and Black Spire Outpost sound like a very interesting place to visit. I am really excited! At the end of the the panel, they played the full concert piece. Everything that we have heard are snippets of the full Theme from Star Wars: Galaxy's Edge. On the live feed, you can here the beginning of it as Josh Gad introduces the piece to be played as everyone leaves, and points out that it is the first time that the full concert piece has been heard publicly (1:30:04 in the video). Unfortunately, the live feed ends just after the opening fanfare goes into the strings. I am sure that the piece will be officially released. I really want to hear and experience it. Also, they gave a big shoutout to the Maestro and show video of him at 1:18:41. I hope that there will be an official release of the Maestro’s music for Star Wars: Galaxy’s Edge. I am going to be planning a trip to Disney’s Hollywood Studios, three day weekend visit, Friday through Sunday, sometime between September and November. I can’t wait to experience everything at Galaxy’s Edge. Obviously, no. That is the weirdest question I ever read. Awesome first look at the conclusion of Star Wars. I have been a fan of Star Wars since I saw Episode IV: A New Hope on VHS when I was six or seven years old. Star Wars is my favorite franchise. The story, the characters, the Maestro’s music. I own the first eight chapters of the Skywalker Saga, the entire set of The Clone Wars (until season 7 premieres with the launch of Disney+, in which I will subscribe to catch that), Solo, Rebels and Rogue One. I also own many of the novels, including Queen's Shadow, Dark Disciple, Catalyst: A Rogue One Novel, the novelization of Solo, The Rise of the Empire, Thrawn, Thrawn: Alliances, Ashoka, Leia: Princess of Alderaan, Lost Stars, Heir to the Jedi, The Aftermath trilogy, Last Shot, Bloodline, Phasma, The Legends of Luke Skywalker, the novelizations of Episode VII and VIII, and I look forward to the novels coming out. I am really looking forward to catching The Mandalorian on Disney+. Seeing the entire saga thus far, it will be really exciting to see the final chapter play out in Episode IX: The Rise of Skywalker. I was genuinely shocked at hearing the unmistakable laugh of Palpatine at the end of the teaser, so I am really looking forward to seeing how this all plays out. The title is appropriately cryptic. I can’t wait to experience this on the big screen in IMAX. The official synopsis: “Director Jon Favreau’s all-new “The Lion King” journeys to the African savanna where a future king is born. Simba idolizes his father, King Mufasa, and takes to heart his own royal destiny. But not everyone in the kingdom celebrates the new cub’s arrival. Scar, Mufasa’s brother—and former heir to the throne—has plans of his own. The battle for Pride Rock is ravaged with betrayal, tragedy and drama, ultimately resulting in Simba’s exile. With help from a curious pair of newfound friends, Simba will have to figure out how to grow up and take back what is rightfully his. The all-star cast includes Donald Glover as Simba, Beyoncé Knowles-Carter as Nala, James Earl Jones as Mufasa, Chiwetel Ejiofor as Scar, Seth Rogen as Pumbaa and Billy Eichner as Timon. Utilizing pioneering filmmaking techniques to bring treasured characters to life in a whole new way, Disney’s “The Lion King” roars into theaters on July 19, 2019.” Scar is Mufasa’s brother. I thought The Jungle Book was really good. I have high hopes for this upcoming adaptation of The Lion King. While it cannot top the original for many obvious reasons, my hope is that it will honor the original while also having some elements in it that allow it to be distinguishable and its own thing, maybe combining elements from the original and the Broadway musical for instance. Visually, this film is very impressive and mind-blowing. I hope to see this in IMAX. Ha! Good one. For many reasons I won’t get into because it is off-topic, Star Wars, Episode IX: The Rise of Skywalker is the film I am looking forward to the most, more so than Endgame. My anticipation to see Endgame is very high, so that is saying something. Anyway, back on topic. One of the things I am looking forward to with Endgame is how Alan Silvestri will top his work for Captain America: The First Avengers, The Avengers, and especially Avengers: Infinity War. This is definitely from the first 10 to 15 minutes of the film. No more clips, though! This is all that is needed. Regarding that moment in Infinity War, with Thor, Rocket and Groot’s arrival in Wakanda, that statement of the Avengers theme is obviously newly performed and is part of the rest of the track, Forge. Looking forward to Endgame. So am I. Got my tickets for the Thursday Opening Night Fan Event at 5 PM, as well as two IMAX viewings for the following day at 6:20 PM and Sunday at 2 PM. Looking forward to it. Yes. I’ll Take Those Shoes is intended to segue directly into Show Us Your Hook. The last note of one cue overlaps with the first note of the next cue. Also, I believe the end of The Flying Sequence is intended to segue directly into the start of You Are the Pan.